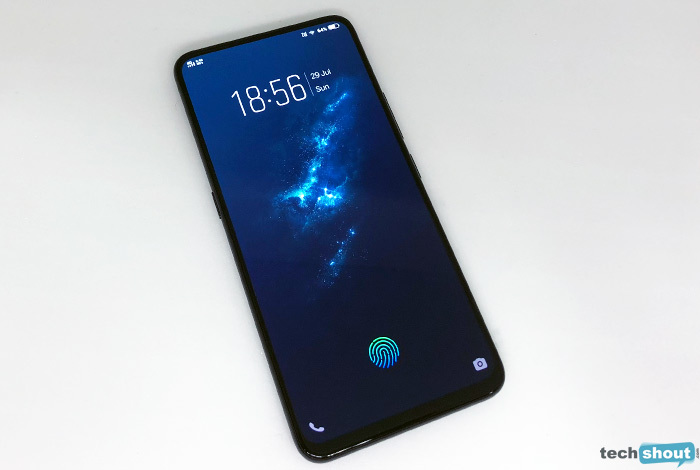 The bezel-less beauty that is the Vivo Nex has many intriguing features which make it stand apart from the rest of the Android smartphones in the market. You’ve probably been excited about its release since Vivo started teasing its launch. We know we’ve been waiting for such a phone to hit the shelves after seeing the company’s Apex concept at the MWC 2018. Well, here it is in the form of the Vivo Nex and let us take you through all the technological marvels it has to offer. 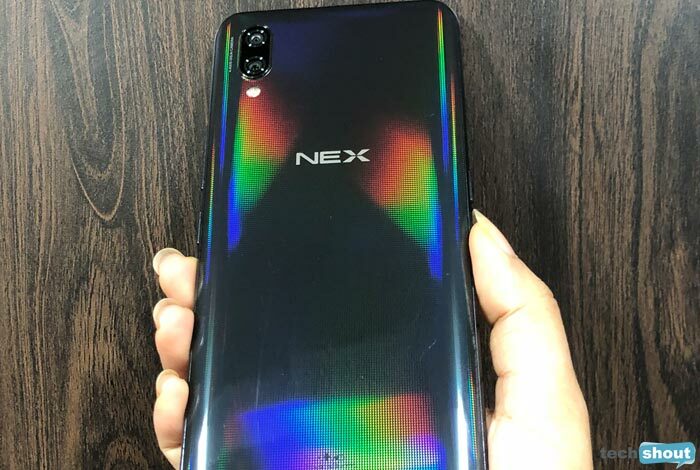 The first thing that grabs you about the Nex is its giant 6.59-inch Super AMOLED display which appears to take up the entire face of the smartphone, leaving no room for bezels. Vivo has used COF (Chip on Film) encapsulation technology to attain the bezel-less look. And as mentioned below, the popup front camera and hidden sensors are the major contributors to this gorgeous design. When you crunch all the numbers, you’ll see that the 91.24% screen-to-body ratio of the Nex is unprecedented, putting rival flagships from Apple and Samsung to shame. The 2316 x 1080p resolution touchscreen has an aspect ratio of 19.3:9 to top it off. 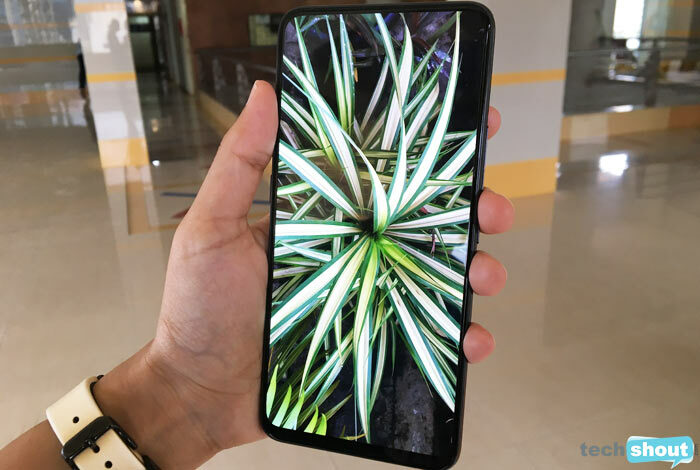 If there’s any phone that can truly lay claim to having an Ultra FullView Display, it is the Vivo Nex for sure. Once you’re done taking selfies, the 8MP snapper smoothly retracts into its compartment with a distinctive ‘shutting down’ kind of sound. By putting the front camera on a hidden slider mechanism, Vivo has given us hope that the notch design trend plaguing smartphones since the iPhone X’s release, will finally be done with. A popup camera is not as simple a solution as you think it is. A lot of engineering had to go into it to make the slider mechanism fail-safe. 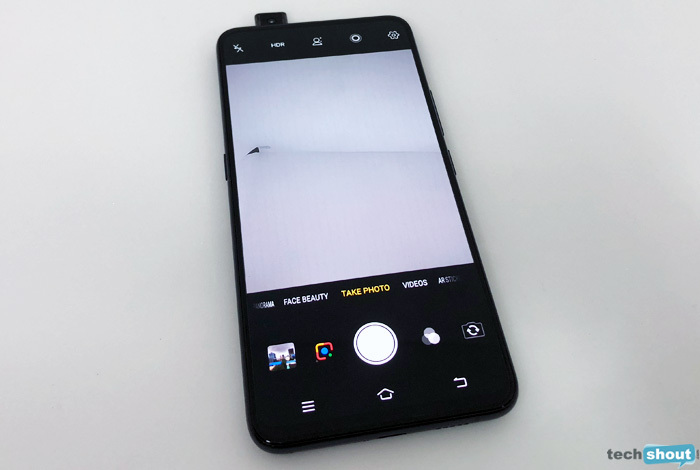 In addition to that, the sensors and earpiece which would normally be sitting beside the front camera had to be moved out of sight to achieve the notch-less, bezel-free full face display design of the Nex. The proximity and ambient light sensors have been placed under the screen and use ultrasonic tech to function. This brings us to the next point about the earpiece. 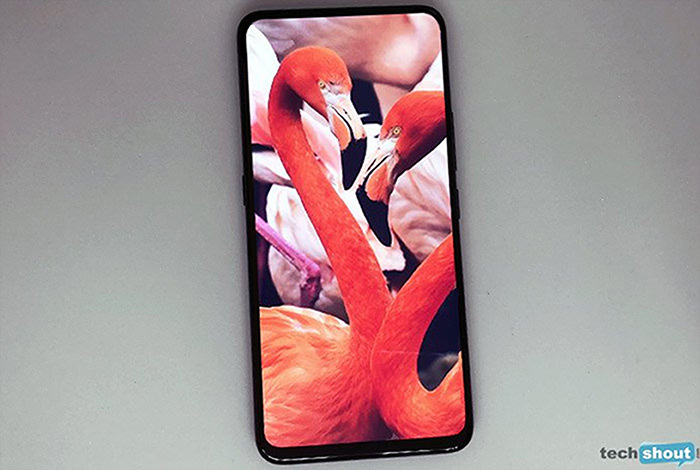 Where exactly is it since the Vivo Nex has no notch area for it? Vivo has implemented a special technology called Screen SoundCasting to replace the traditional loudspeaker. It sends vibrations through the 6.59-inch display of the phone so that the entire touchscreen is transformed into a speaker. There’s no need of a dedicated earpiece. It also means you can hold the handset any which way you please – upside down, sideways, the right way up – and still enjoy the same sound quality. We found the audio quality to be really good, even less jarring at times as compared to normal speakers. When you place the phone to your ear to talk to someone, the hidden proximity and ambient light sensors switch off or dim the display. Smartphone design is definitely heading towards a futuristic, monolithic look. Manufacturers are hiding or disguising as many physical buttons and ports as they can to achieve this goal. Of course, the Vivo Nex does it best by featuring a bezel-free face and no notch above the display. Another element which the company has hidden away is the fingerprint sensor for unlocking the phone. The Nex does not seem to have a dedicated area for a biometric scanner at first glance. That’s because Vivo has given it an invisible fingerprint sensor. This fingerprint reader lurks underneath the OLED display and captures the light reflected off the unique ridges of your fingerprint. It decodes the optical signals it receives to match the registered fingerprint and unlock the device. The X21 was the first commercially available Vivo device to feature this advanced technology. An enhanced version of the same has been incorporated into the Nex. If the fingerprint sensor is in-display, how do you know where to place your finger? The area lights up with special graphics when it senses movement. You then place your finger on it and give it about a second to match your print. The rear camera makes use of the Sony IMX363 6P lens. The mains lens of this dual camera setup is of 12MP resolution and it features an aperture of f/1.8 along with OIS auto focus and 1.4μm extra-large pixels so that shooting in a range of lighting conditions is not a problem. The 5MP secondary camera has an aperture of f/2.4. It aids in capturing depth of field data in each pixel. 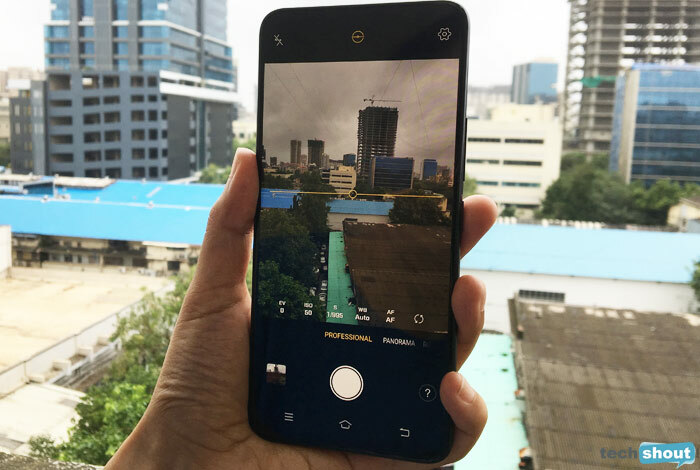 Vivo has employed a number of AI features to enhance the photography experience on the Nex. It can detect up to 140 scenes and 80 tags, in order to automatically adjust the camera settings. The AI HDR promises better photos even when the subject is backlit. Then there’s the main AI Face Beauty mode which works for stills and videos so you always look good in any setting. The Vivo Nex boasts of Android Oreo 8.1 with Funtouch OS, 8GB RAM, a 4000mAh battery, a 2.8GHz Snapdragon 845 octa core chip, 128GB memory and Adreno 630 graphics. The software and hardware work with the help of advanced neural computing to augment CPU utilization, conserve battery power, provide a lag-free gaming experience and offer an optimized overall smartphone experience. Concluding our list of the best features of the Vivo Nex is its most noticeable quality – the design. The smartphone is pretty light at 199 grams. We did not find it slipping from our hand even without its case on. The volume rockers and power button have been lowered a little so that you can comfortably reach the fingerprint sensor with your thumb while holding the phone with one hand. Vivo has covered the back panel in glass too, lending the Nex a premium finish. What we love most about the handset’s look apart from its almost bezel-less front is the holographic pattern on its back panel. It emits a rainbow of metallic shades when you hold it at various angles. It’s worth carrying the phone around without a case just to be mesmerized by this riot of colors. In case you’re thinking of buying it, the Vivo Nex is currently available through Amazon India and the Vivo e-store for Rs 44990. You can also get it offline from retail stores across India.